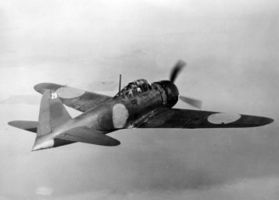 This modification of the A6M confronted Allied fighters until the final days of WWII. 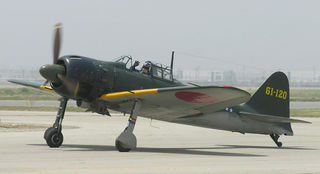 A total of 10,449 aircraft of all variants were produced. 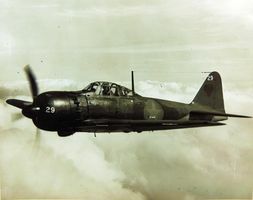 Considered the most effective variant, the Model 52 was developed to face the powerful American F6F Hellcat and F4U Corsair, superior mostly for engine power and armament. 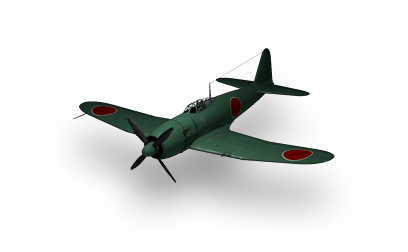 The variant was a modest update of the A6M3 Model 22, with shorter, non-folding wing tips and thicker wing skinning to permit faster diving speeds, plus an improved exhaust system. 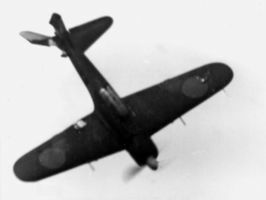 The latter used four ejector exhaust stacks, providing an increment of thrust, projecting along each side of the forward fuselage. 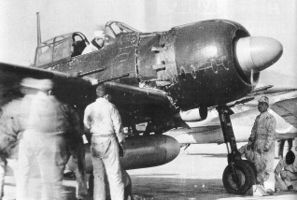 The new exhaust system required modified "notched" cowl flaps and small rectangular plates which were riveted to the fuselage, just aft of the exhausts. This page was last modified on 2 October 2014, at 06:17.